We have provided hosting for several years for many University departments within the University of Edinburgh and the University of Manchester. Hosted in the UK - therefore, no issues with data protection laws where the data maybe exported outside of the UK. Also, as a bonus, for the first year with us: we provide a Small business hosting account (normally £89) for FREE for 12 months, no ties, cancel after 12 months with no penalties. 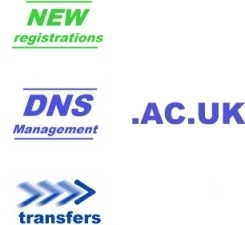 We also do not charge to transfer in your .ac.uk domains.